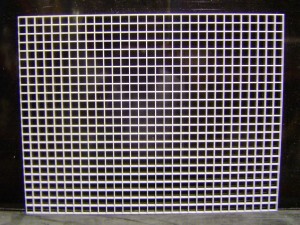 Egg Crate, or louvre grid is an acrylic grid-like sheet, designed for use as a light diffuser, but is also commonly used as a divider in fish tanks and other types of tanks and terrariums, as well as a coral breeding shelf. 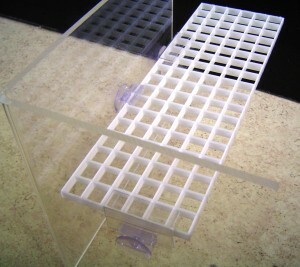 Egg Crate is light weight yet durable, and is non toxic, making it safe for use in tanks and aquariums. Please note, all sheets of egg crate feature 14mm x 14mm x 8mm grid spaces. Larger sizes up to 1200mm x 600mm x 8mm are available. Cut to size service is also available. Please contact us for a quote on larger sizes and cutting. We are also able to make custom size coral breeding racks, and isolation tanks can be made to order. Please contact us on 02 9725 4144, or email sales@pacwestcorp.com.au for custom fabrication and made to order product enquiries. Egg Crate can be purchased on our eBay store, or by contacting us directly.